mightiness - extra protected e.p. So here is, how envloop records say their first “hello!” to the world: “Extraprotected” is a boosting and rocking d&b tune by Bremen, Germany based artist Mightiness aka Ralph Klenke. Fresh and juicy, this tune is meant to rock dancefloors around the globe. But envloop wouldn´t be envloop, if this tune hadn´t undergone some reworks by various artists from around the world, amongst them electronic music-pioneers as NYC based DJ I-Cue, well known as Hipstep-pioneer and one of the most reputed artists of Zulu Nation NYC and Jungle Sky Rec. NYC. But he is not the only one moving this originally d&b tune to different genres: Frozen Smoke from Liverpool, UK, come up with a deep and dark UK Electro-Breaks version, Austrian producer derCube joins the party with a straight Electro-RMX and Hillberg is adding a sort of “Retro-1990ties”Style UK TechnoTrance variation re-awaking the good old times of Underworld. Kooky from Liverpool, UK again, brings the EP back to where it started: Drum&Bass at its best, adding a slight uplifting element to the basic track. 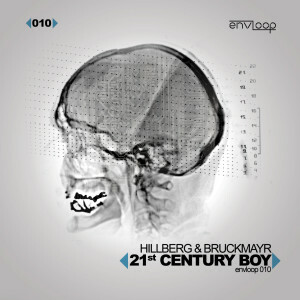 All together envloop 001 “Extraprotected” shows a big range, both spoken in terms of talents contributing their versions on the tune, as spoken in terms of the wide and versatile musical range of this release. So come and join us on this musical trip through the electronic music-universe! 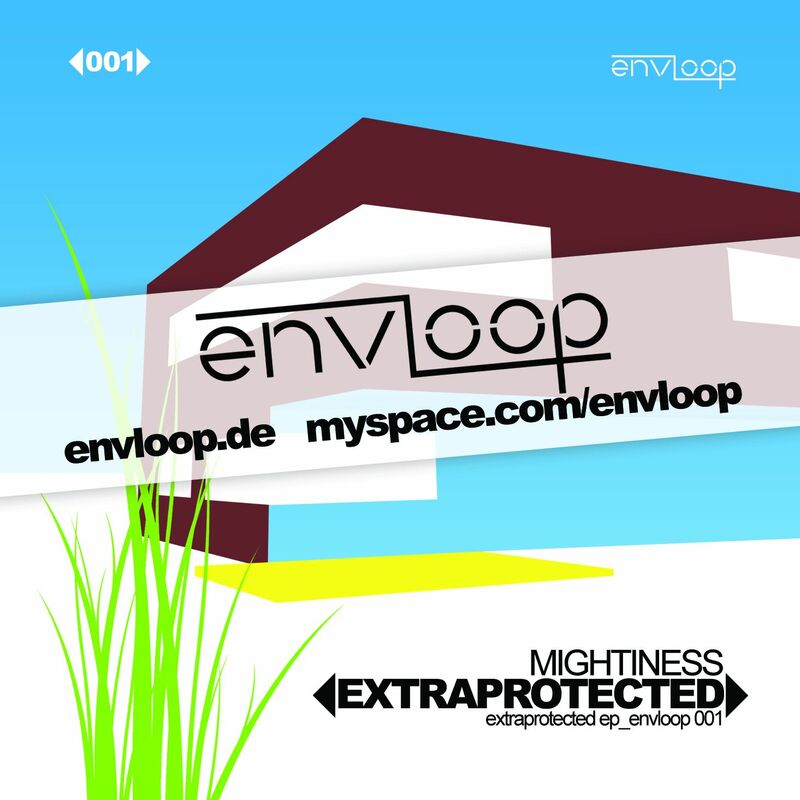 Massive Drum&Bass Tune from our envloop 001 Release “Mightiness – Extraprotected E.P.” (available in stores from May 20th on). Massive D&B remix of our Release envloop 001 “Mightiness – extraprotected E.P.” by Liverpool, UK based artist Kooky. Previous releases of Kooky were on Universal Egg Records/Category One, Zone Music and Silicon Hustler. DJ I-Cue´s (Zulu Nation, NYC) unique Dubstep Mix of envloop 001 “Mightiness – extraprotected E.P.” – uplifting and downlifting at the same time, shifting between downbeat and uptempo. DJ I-Cue is New York´s HipStep pioneer no.1, his various releases on Jungle Sky Rec. are handled as milestones of the HipStep genre, long before “Dubstep” was born. His previous works list projects with artists as T.C. Islam, Jamalski or New Yorks music legend Afrika Bambaattaa. I-Cue is also member of DK NYC (Digital Konfusion New York), our close friends from “the other side of the Atlantic”. 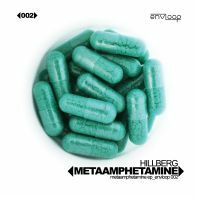 Austrian artist DJ Hillberg´s moody UK Trance remix of envloop 001 “Mightiness – extraprotected E.P.”. A moody variation playing on a kind of retro approach in the style of mid 1990ties UK Trance tunes. Dense athmos change with long breaks filled with tasty soundbits and effects – it´s just fun to listen to it. A fine, nice – and dark Electro Remix of Liverpool, UK based artist Frozen Smoke. “In previous incarnations we have remixed and remodelled works for Zion Train, The Mighty Quark, Chumbawamba, Mulu and Hillberg”, says Frozen Smoke and ex-ISM and ex-Zeb member Daniel Mark Barrett in his own words. ´Nuff said – isn´t it? 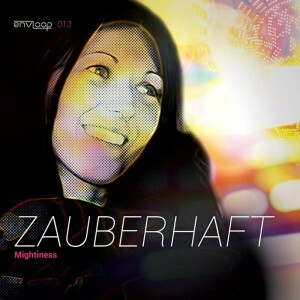 Austrian artist Cube´s massive ElektroRocker remix on envloop 001 “Mightiness – extraprotected E.P.”. A massive rocking Euro-Electro-Trash tune that will get your feet stomping and your body moving within two milliseconds once you tuned in. Vorheriger BeitragI-Cue. New York City. USA.